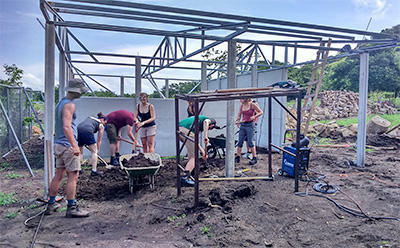 In August, eight colleagues from the SmithCorp Charitable Trust travelled to Costa Rica to join a specially arranged Building & Community project. Given that Projects Abroad currently doesn’t offer a Building project in Costa Rica, this trip was arranged specifically for SmithCorp following a special request and discussions with our team in the country. 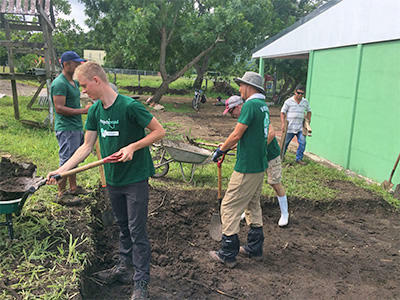 This project, located in a small village outside the Barra Honda National Park, was arranged to rebuild a remote school that had been destroyed by an earthquake a few years prior. This trip follows SmithCorp Charitable Trust’s first trip to Nepal in 2016. You can read about their previous trip by clicking here. 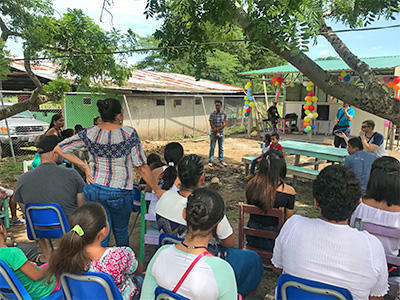 Funded by the SmithCorp Charitable Trust the aim was to build a primary school in a village 30 minutes from Nicoya, after it was ruined by an earthquake 6 years ago. Partnering with Projects Aboard to facilitate the project, we helped to improve the education and lives of the people still affected by this disaster. The school is situated in a very rural part of Costa Rica right next to the Barra Honda National Park. Houses are few and far between and built by the families who occupy them. The area is very poor and without the help of the SmithCorp Charitable Trust, this project would not have been completed for another 6 years. On the first day we visited the site we would be based at for the next 2 weeks. The children were currently in a temporary classroom made from a corrugated roof and a concrete floor, with torn plastic sheets as walls, which let in the heavy rain onto the desks. The building of the new school had begun with the help of the locals who had put up the frame of the building and the concrete walls. However, it was still very much an empty shell. We knew we had our work cut out! Most of our days were spent digging or cement mixing (or both) which I can safely say is a skill we feel we have all mastered .The sun was scorching in the day followed by thunderstorms in the afternoon. We created moats to direct the vast amount of rain so it wouldn’t flood our hard days’ work. Once the roof was on and the floor had set it was time to buff, plaster and paint the walls. The days were long, tiring and very hot but everyone worked their socks off! All of this work was guided by a local builder who became our legend, Jose, and a member of Projects Abroad, Oscar. community came to the site and cooked us food in show of thanks for the work we were doing for them. The community were so grateful and we could tell it was making a big impact on them. Donations were given to the school; football kits, trainers, books, teddy bears, sweets, pencils and paper. We spent the day interacting with the children by playing football and playground games. The principal of the school also gave a speech, which was filled with gratitude and love for the charity they had been given. The money raised and donated went in to the building of the primary school, along with new toilets and a playground. Thank you very much, you have changed their world. It means a lot to everyone, this place can’t even be seen on a map! Following the incredible work achieved by the group, SmithCorp Charitable Trust also donated a generous sum of money so that the school would be completed with equipment, furniture, fire safety equipment, a playground and a new toilet block. In September of 2017, we received an update from our team that volunteers and staff have begun work on the toilet block for the school. 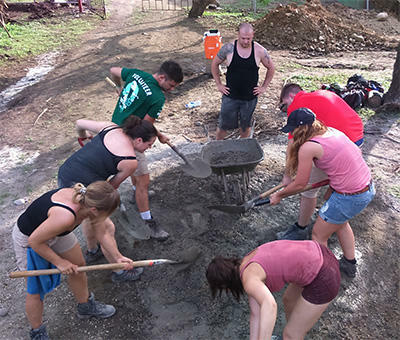 For more information on volunteering as a group in Costa Rica, please click here. If you would like to learn more about the various Building projects that your group can get involved with, please click here.